Home » Office » E-accessories » iPhone 6 Case "Winter Landscape"
“Winter Landscape” by Wassily Kandinsky, the founder of abstract painting, belongs to those canvases where the peculiarities of the artist’s manner are displayed to the full. The motif of thin black trees is a common feature in Kandinsky’s works. Bright colouring with predominant pink, yellow, blue and black is based on immediate visual impression – the author tries to render various light effects on the snow lit by the setting sun, while the painting’s composition lays stress on the spatial depth of the landscape. 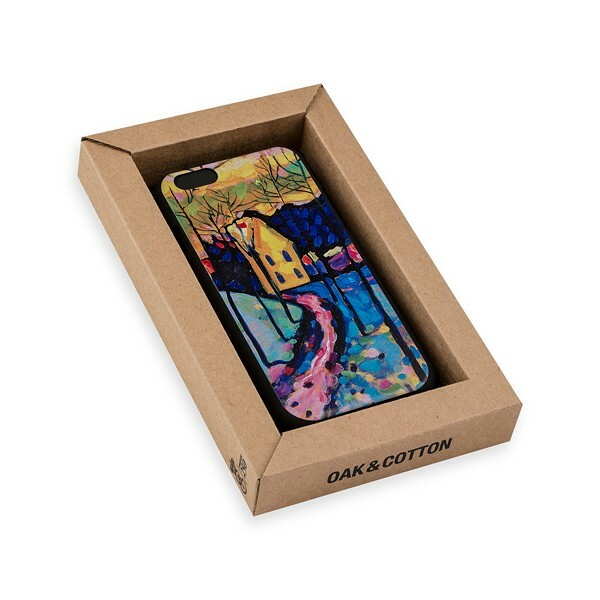 The fragment of this famous canvas was used in the design of an iPhone 6 case.